trying to roll at nearly 4 weeks???? i know it sounds weird but i really think she is! 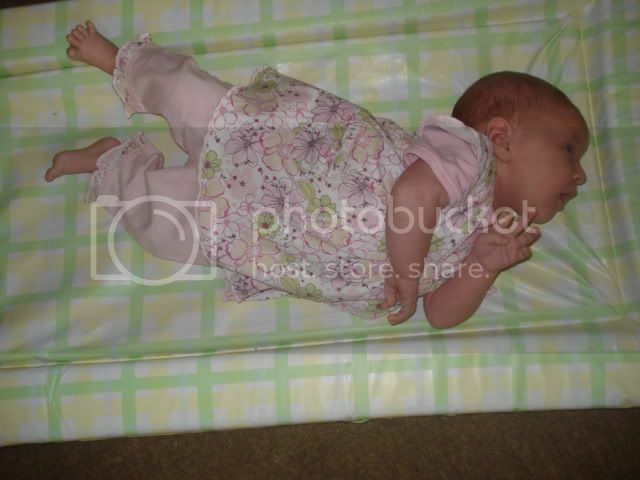 when shes on a changing mat or flat surface she pushes on one side. my boys were 4/5 months so i know this is gonna sound like im lying. I will put her down and take a picture. she has a preference to that side alot. I feed her so that to look at me she has to face the opposite way but she tends to look ahead. when she sleeps her head is that way and if i try to turn it, it feels stiff and looks uncomfortable for her. Do you think I should say something to HV? Just going by another post, otherwise I would never have known this. Was she breech? If so she might need a bit of physio on her neck. Lucas did this till we took him to an osteopath who adjusted his neck and he's now much more centred. He had his cord round his neck which caused some muscle tension. Definitely mention to your HV. juniemummy Bellas is 4 weeks today and also does this, the hv has seen her do this but wasn't concerned she also has a lot of strength with holding her head up on her own for a while. Sebastian could roll from front to back when he was 3 weeks old and the doctor had to hold him at his 6 weeks check so he didn't roll off the bench. Doc just said he had strong muscles. Aww she's so cute! Am thankful my lo isn't rolling yet at 7 weeks, it's good for her to stay where I put here for now thanks! lol. It's mainly a reflex action - Lyvi used to do this too. However, Lyvi also had the cord around her neck and was quite 'bent' up for a long time whenever we would put her on a flat surface and she always preferred to be on her side. 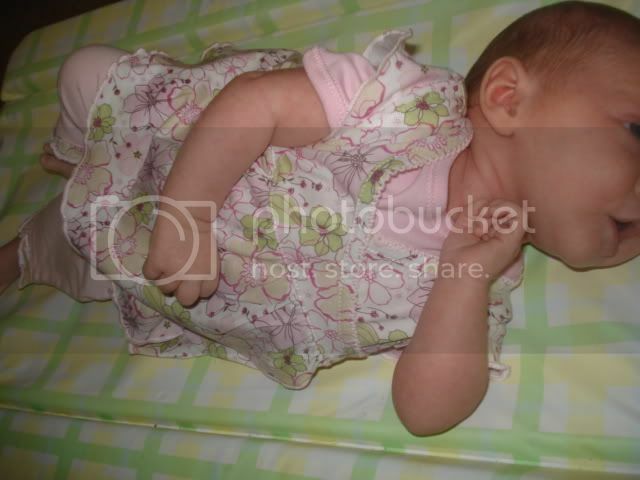 We took her to see a cranial osteopath and it was sorted out within 3 sessions. I'd highly recommend them!